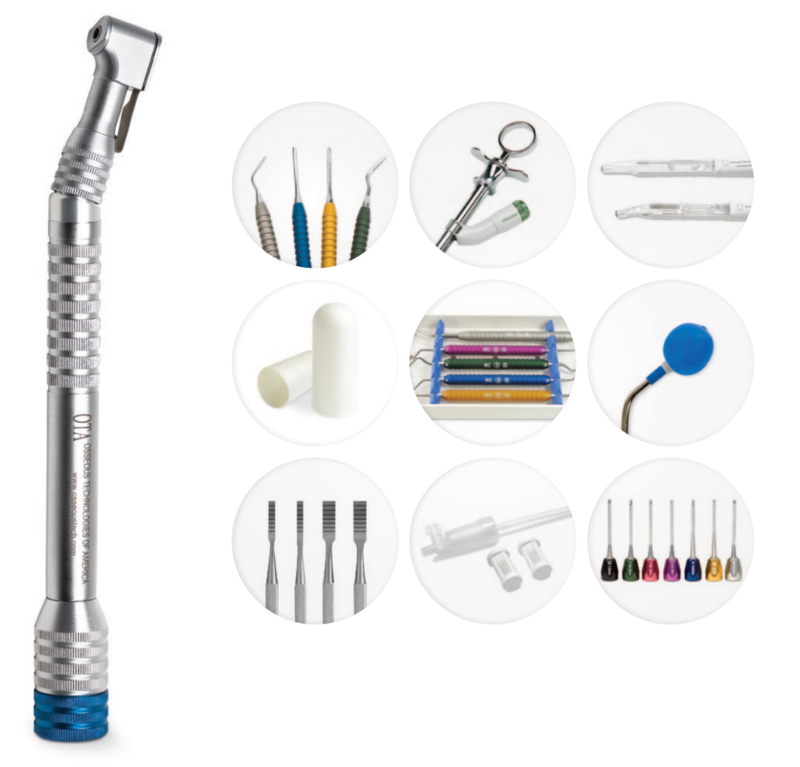 Osseous Technologies of America, a division of A. Titan Instruments, develops and markets innovative, high quality products for both the surgeon and restorative clinicians. By attending tradeshows and workshops, our company began to grow and expand its coverage worldwide. We have aligned ourselves with an elite network of top distributor organizations throughout the U.S. and Internationally. Welcoming Osseous Technologies to the A. Titan family expands upon our premium product line, giving our customer even more choice and selection. Osseous Tech products can be purchased right here on ATitan.com for one-stop shopping and detailed information on each item. Like the A. Titan instruments you've come to know and depend on, Osseous Tech products have been refined and perfected for over a decade to deliver top quality craftsmanship with proven results. For an in depth look at the full Osseous Tech lineup, browse our product offering here at A. Titan. At A. Titan, it's our mission to enhance the quality of patient care by providing our customers superior quality products and instrumentation on the cutting edge of dentistry. We pride ourselves on being community and industry leaders with over 3 decades of manufacturing expertise. Osseous Technologies products are designed, machined, and perfected using the same methods that make our A. Titan products the best in the business. Each product is crafted from start to finish here in the USA adhering to the strict quality standards. A. Titan's state of the art manufacturing facility brings a level of expertise and standards that have been honed over three decades, making our products lines some of the highest performing, most dependable instruments available.